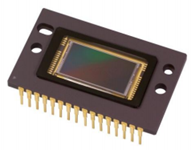 The KAI-2093 Image Sensor is a high-performance multi-megapixel image sensor designed for a wide range of medical imaging and machine vision applications. The 7.4 mm square pixels with microlenses provide high sensitivity and the large full well capacity results in high dynamic range. The split horizontal register offers a choice of single or dual output allowing either 15 or 30 frame per second (fps). The architecture allows for either progressive scan or interlaced readout. The imager features 5 V clocking to facilitate camera design. The vertical overflow drain structure provides antiblooming protection, and enables electronic shuttering for precise exposure control.